Flowers make the perfect gift for Valentines Day. Nothing says I love you quite like a beautiful bouquet of flowers. 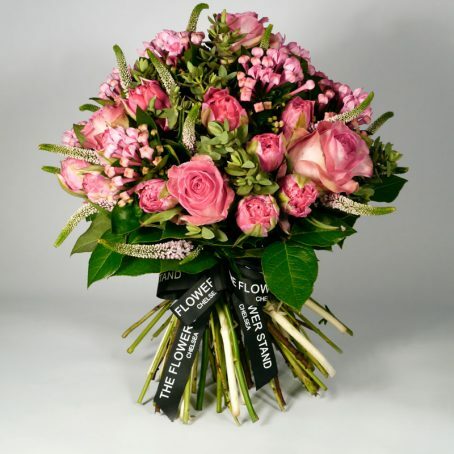 Our luxury hand tied bouquets are guaranteed to impress your loved one this Valentines day. From our base in Chelsea our expert florists have put together some creative floral displays, with romance in mind. 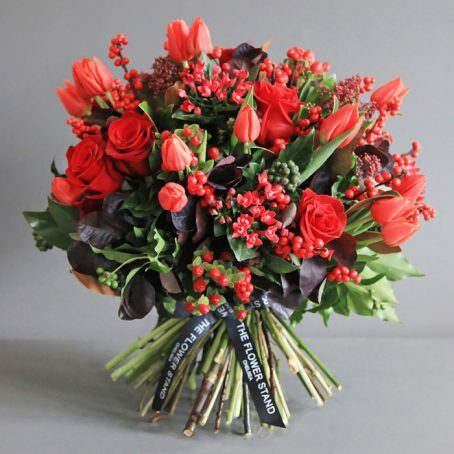 One of our favourites is this twist on the classic dozen red roses, a luxurious bouquet of Pure Ecuadorian Roses. The colour red is synonymous with love, so our florists are always keen to include reds throughout our Valentines bouquets. For something a little different, they have created this stunning Black Calla Bouquet. 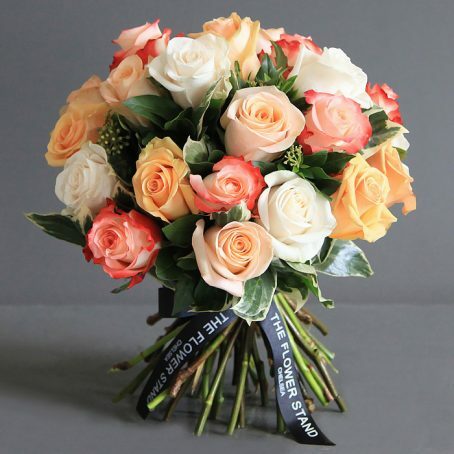 If you’d prefer something completely unique or you cannot see the right bouquet, we have a huge range of flowers available, so please call us on 020 7351 7996 and our florists would be happy to put together a custom, boutique bouquet for you. Whether you are planning ahead of time or looking for that last minute Valentine’s gift, we offer a reliable delivery service. Choose to nominate a specific delivery date or opt for same day delivery throughout London. We guarantee to get your flowers to you on time and in the perfect condition, ready for your loved one to enjoy this Valentine’s Day. Luxurious bouquet of Spring Tulips. 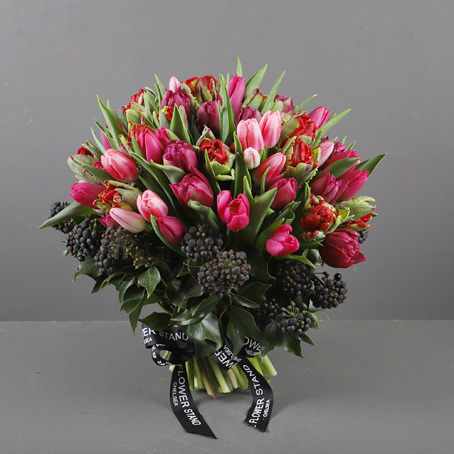 An assortment of hot pink, red and purple Tulips with a dark green foliage collar. The perfect gift for Valentines Day. 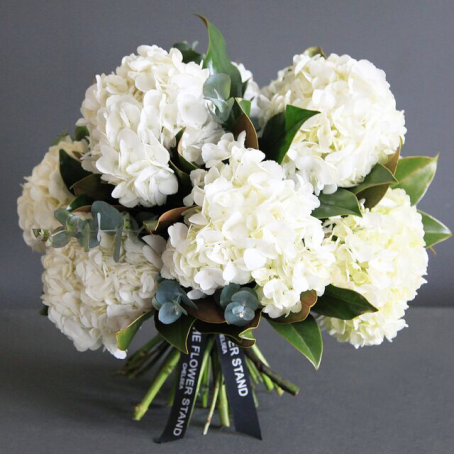 Luxurious bouquet of the finest quality premium cut flowers comprising Lisianthus and Hydrangeas and Roses. 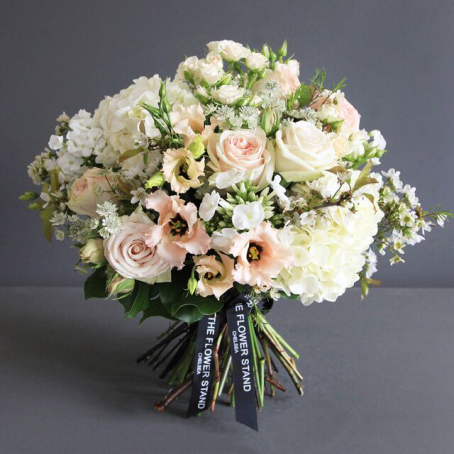 Combining whites, peaches and pinks our florists created this beautiful bouquet as an ode to Spring. 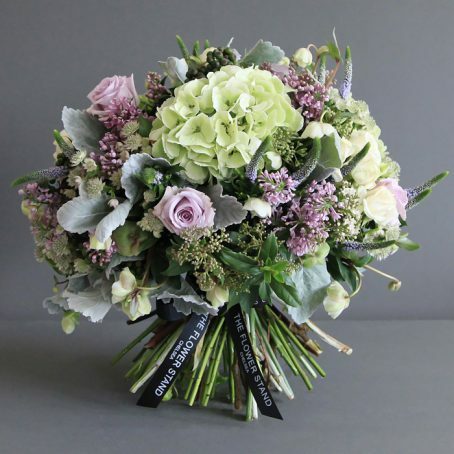 Luxurious Bouquet of Ecuadorian Mother of Pearl Roses, Guelder Rose, Lilac Lilac, Clematis and Spray Roses. 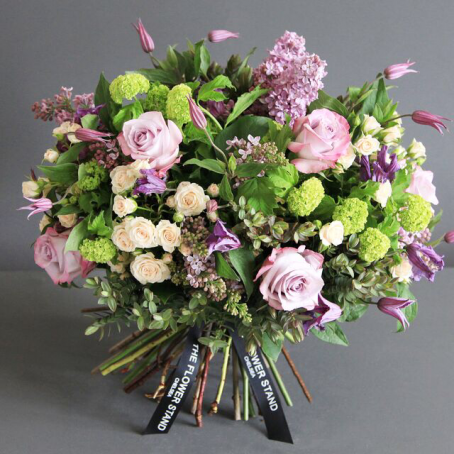 Our florists have expertly combined muted pinks and purples with light green foliage to create this stunning luxury bouquet.